GIRL POWER! #BOSSCHICKS WHO INSPIRE BEAUTY ENTOURAGE! As you may know, Beauty Entourage believes in strong, motivated women being their own boss and making a name in the business world. March is Women’s History Month, honoring women’s contributions in history and today. Did you know this celebration of achievement wasn’t recognized until 1980, at that point it was only a week. Finally, in 1987, Congress passed a proclamation to honor an entire month. We are more than willing to step up to the challenge and push our #BossChicks agenda! Here are the women that motivate us to go above and beyond every day and make Beauty Entourage the best it can be. Who runs the world? You be the judge. The late Maya Angelou will forever be an inspiration to poets, writers, screenwriters, dancers, actors and activists alike. Angelou made history as the first nonfiction best-seller by an African-American woman in 1969 and went on to win the Pulitzer Prize in 1971. 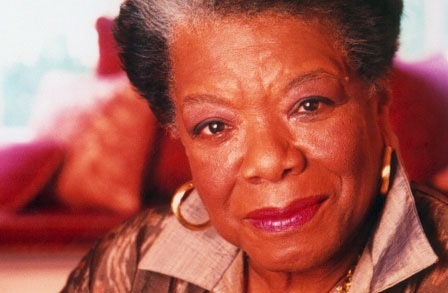 Her accomplishments paved the way for African American women and the progression of women in film, theatre and print. Entrepreneur Arianna Huffington moved to the United States and started The Huffington Post in 2005. The website launched into a countrywide source of news information on a variety of topics. The popularity of the website is increasingly growing. Huffington also holds a legacy of published books from biographies, historical research, and political statements. J.K. Rowling made a household name for herself from her book series Harry Potter. Her road to success began on a train ride when she developed the idea for the novels without even a pen in hand. As many female authors before her, she developed a pen name with initials so publishing companies would not shy away from a female voice. Rowling’s fourth installment of the series became the fastest-selling book in history. The novels launched into a film series, grossing millions of dollars Rowling donates a large portion of to charities. Youngest self-made female billionaire in America, Sara Blakely, invented the popular undergarment SPANX. The product made its way into households as the item that can change a woman’s confidence in seconds. It serves as under armor, making us look exactly how we want in our favorite outfit. What could be better? A spokesmodel for rejection, Blakely faced the dreaded “no” from investors time and time again. Now proudly holding the title, and the bank account, she always dreamed of, she continues to grow her business and contribute to charities and foundations. Just like Beauty Entourage, Blakely had a vision to help fellow women and ran with it! We hope you enjoyed our Women’s History Month blog. We had a great time sharing just a couple of the women who motivate and inspire us on a daily basis. We definitely recommend checking out some of the links we cited for interviews and full biographies of these exemplary women, and the thousands more changing the world every day. Have you seen our upcoming event “Madness of Creativity”? This avant garde fashion show will feature even more strong women working every day to make a difference. Proceeds go to Wigs For Kids.